The Indian motorcycle company, Royal Enfield is all set to launch a new bike later this month. The company has sent out invites for the event. Royal Enfield has the Interceptor 650 and Continental GT 650 that are yet to be revealed in India. 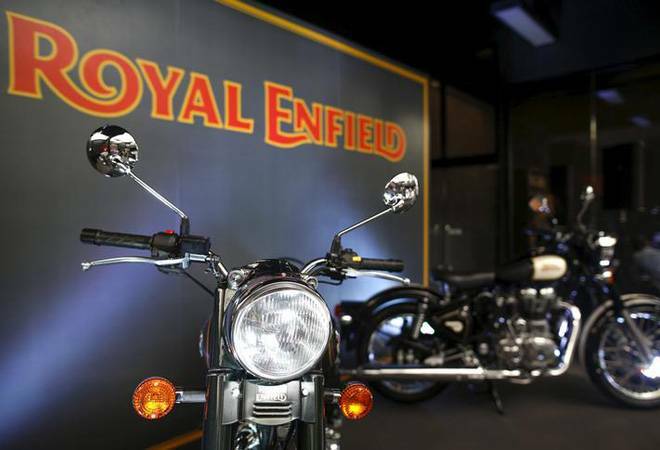 The Indian motorcycle company, Royal Enfield is all set to launch a new bike later this month. The company has sent out invites for the event. Royal Enfield has the Interceptor 650 and Continental GT 650 that are yet to be revealed in India. However, it seems the new bike that is supposed to be unveiled will be something else. The invite reads, "An ode to the Royal Enfields in Service and those who ride them." It further adds, "Please join Rudratej Singh, President, Royal Enfield, as he takes you through our much-storied heritage with the Indian Armed Forces and the motorcycle it inspired." This clearly indicates that Royal Enfield will be launching a bike that will be themed on the Indian Army. This falls in line with previous leaks which showed us a special edition Classic 350. A Team-BHP member shared images of a Royal Enfield 350 classic in two new colour schemes along with an Indian flag square decal on the tank. It also had the military style numbering on the tank. In the leaked images the bike can be seen in navy blue colour and brown colour. The invite also has a similar colour scheme to it. If RE goes on to launch this new bike, no major mechanical changes are expected in the new Classic.